You can spend so many hours in line to enter Rome’s blockbuster sights that you don’t have time to fully enjoy them once inside. Do the Colosseum and Vatican justice with fast-track entry so you make the most of every minute. 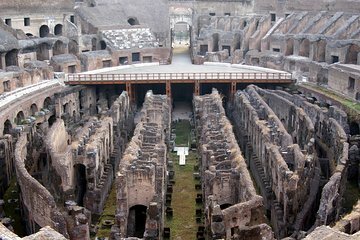 Begin with a comprehensive guided tour of the Colosseum, including the arena floor and Gladiators' Gate. Then follow your guide through the Vatican Museums, Sistine Chapel, and St. Peter’s Basilica.